Bordner has been providing quality stone and stucco re-siding installations to the Kansas City area for years. Conventional stucco is a time-tested product that has been around for centuries. It consists of Portland cement, masonry cement, sand, water and fiberglass fibers, and is impact resistant, fire resistant, and impervious to termites and rot. Conventional stucco gets harder and more durable over time. Stone or cultured stone as a siding is also extremely durable, but also expensive. Granite, limestone, slate, and other types of stone are beautiful and nearly impervious to the weather. Another option for homeowners who want the look of stone is to use stone veneers. Precast stone veneers and facings look and feel like real stone, but the prices are more affordable. Stone and stucco offer an almost maintenance-free exterior with unlimited design options. Both have been known for their durability for many decades in this part of the Midwest. Stone and stucco are tough, long lasting, and provide a unique, highly desirable appearance. Bordner’s commercial steep slope roofing project management team has many years of experience in the roofing industry. We can help with your industrial roofing needs from conception and design to completion. We work very closely with your project architect, project manager, job site superintendent and other sub-contractors to ensure all details are examined to provide the most efficient roof system. Often we are able to suggest less costly alternatives regarding the materials specified on the industrial roof system design. All of our commercial roofing installations are overseen by a staff supervisor. This extra layer of supervision allows us to maintain a high level of quality in our industrial roof construction and to ensure compliance with OSHA and EPA regulations. Experience the difference that quality and attention to detail make on your commercial roofing projects by contacting us for an industrial roof construction estimate on your next project. Contact us online or call us at 816-358-2102. In the market for some new countertops? Before you go out and purchase panel after panel of natural stone under the impression that you’re choosing the most environmentally friendly of options, read this tidbit of info we found fromReNest.com–you might be surprised to find out how sustainable composite products are compared to their natural counterparts. Border Installation Group encourages you to always do your research to find the most eco-friendly option when remodeling any area of your home. Recycled surfaces are made from post-consumer and post-industrial content, thus they have a lower embodied energy than natural stone. They can be made from recycled glass, mirrors, ceramics, porcelain quarry waste, ash and natural pigments and bound with vegetable based resins. The manufacturing process for recycled countertops is very precise and produces a homogeneous, consistent and stable material. The material content is mixed together in a way to produce a nearly identical product, making replacement and matching much easier than with natural stone. Click here to learn more from ReNest about composite materials. To receive regular news and tips from Bordner, be sure to subscribe to our blog by submitting your e-mail address in the top left-hand corner of the homepage. Don’t forget to confirm your subscription! While roof damage can happen to anyone and always varies by type of roof, the leading reason roof damage occurs results from a lack of regular maintenance. Ehow.com has put together a helpful list of types of roof damage to watch out for as well as ways that you can prevent them from happening. ContactBordner today for more detailed roofing information. Cracking occurs with tiling, wood or asphalt shingles for different reasons. Wood shingles naturally crack with age. When shingle splitting allows prolonged exposure to the protective underlying layer of felt material it also dries and cracks, creating a potential leak in the attic or crawl space. Aging and prolonged exposure causes shingle cracking. These two factors also create a breakdown of the protective roofing water sealant. Severe shingle cracking indicates the end of the shingle’s usefulness and requires replacement. Routinely replacing your roof’s water sealant keeps the roof watertight. Granules add weight and fire resistance, protect the felt matting and add color to asphalt shingles. With time, gradual granule loss occurs but excessive loss of granules exposes the felt matting to the elements, shortening the life of the shingle. Click here to read there full article on roof damage. It’s no surprise that we at Bordner are committed to providing you with energy saving tips year-round to both help keep your expenses down and our environment healthy. Over the past few months, we’ve discussed things like the countless benefits of home insulation and weatherization, how to seal costly air leaks and how to maximize your savings by utilizing the Homebuyer Tax Credit. We recently found a helpful video from MoneyTalksNews that highlights a few more useful tips for our readers including how to find energy saving appliances and the gains that can come from purchasing a kilowatt meter to monitor exactly how much energy those appliances are using. What are some ways that you save money in and around your home? Share the Posts you Love! If you’re looking for a simpler way to share Bordner Group’s posts without having to copy and paste its links every time, then listen up. There’s now a feature at the bottom of every one of our blog posts that allows you to quickly and simply share it with over 200 social networking sites! Follow the 5 steps below and you’re good to go! 1. Click on the title of the post you wish to share. 2. At the bottom of the post click on or hover your mouse over the share box. 3. Scroll down until you find the application you want to share through, or type in the name in the search box and click the icon. 4. Enter your user name and password for the site. 5. Click enter or send (depending on the site) and you’ve shared our post. Fighting the Summer Heat: Insulate Your Attic and Keep Cool! Installing a new roof on your home is the perfect opportunity to insulate your attic, as work on both can happen concurrently. Besides being more convenient, installing attic insulation and a new roof at the same time can also save you time and money. While there are many types of attic insulation, one of the most cost-effective and adaptable is blown-in fiberglass insulation. One of the reasons homeowners love blown-in fiberglass attic insulation is its unique ability to match the unique contours of your attic, ensuring better coverage and savings. Lowering your utility bills and raising the comfort level of your home or building is easy with Bordner’s innovative attic insulation system. That’s because Bordner uses high-quality blown-in fiberglass insulation that shields your home from the Kansas City area’s extreme temperature variations. 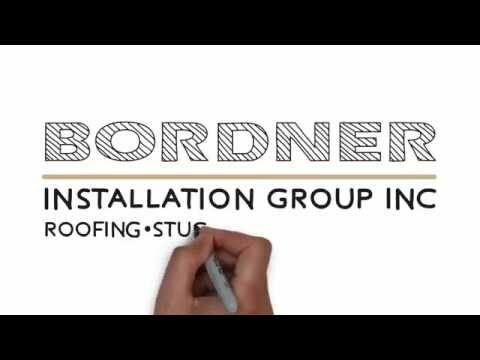 By working in conjunction with the replacement of your new roof, Bordner’s professionals can quickly install your attic insulation, at no discomfort or inconvenience to you. Unlike other products and systems, Bordner can complete your attic insulation job within just a few hours, with minimal to no dust. In fact, you may never realize that your attic insulation has been installed…until your next utility bill! Contact Bordner for more information or a no-obligation roofing and attic insulation consultation. To receive regular news and tips from Bordner, be sure to subscribe to our blog by submitting your e-mail address in the top right-hand corner of the homepage. Don’t forget to confirm your subscription! Years ago, most homes — especially those up North — were built with little or no fortification against heat loss and, because the task of weatherization wasn’t cheap, home insulation wasn’t something that was a top priority. Today, though, most new home construction must meet certain insulation standards, according to the Bonneville Power Administration. There are also still a few additional things you can do to improve the comfort and energy efficiency of your home. After all, saving energy means saving money! BPA suggests first consulting with your utility representative to find out what measures you should take at the time of your home energy analysis. You may then select a contractor to complete the necessary work-or you can do the job yourself. Many weatherization tasks are simple and take only a few hours to complete, though some may require the expertise of an insulation contractor. Your electric utility can provide any additional information you need to complete the job and answer questions about programs offered for home weatherization. Visit the Bonneville Power Authority to view a complete do-it-yourself home weatherization guide. Paper products: Switch from major brands like Charmin toilet paper and Scott paper towels to a product like Seventh Generation. This brand contains no chlorine bleach and is made with about 80 percent post-consumer waste. For office paper, try Domtar EarthChoice Forest Stewardship Council-certified paper. Print on both sides and you can cut your consumption in half! Cleaning: Windex Vinegar Multisurface liquid costs around $3.99 a bottle. For annual savings of about $36, mix water and real white vinegar at $.99 a pint. Baking soda and hydrogen peroxide can replace a lot of household cleaners. Transportation: Let’s say your car averages 20 miles per gallon. If fuel were about $2.88 per gallon, your fuel expenses in a year would be about $860. Try public transportation, car pooling, walking or biking to work. Riding your bike once a week could save you about $185 annually. Energy: Three simple things- line dry your clothes, turn your thermostat down and cut some time off your shower. In total, you could save about $1200 annually if you follow the advice from the Green Guide. Check out the Green Guide to see more tips on green living savings. These days it seems as if everyone is looking for new ways to save money, especially around the house. Making your house energy efficient is a great way to save now, plus a great investment for your home and the environment. Choke your chimney: There is no cost involved and you will reap the benefits immediately. By installing a damper, you can save about 8 percent of furnace-heated air. Seal those air leaks: This is a relatively cheap fix, with the cost of supplies running around $30 to $50. In the long run, you’ll save 10 percent or more—that’s between $50 and $170 a year—on your heating bills. Tune-up your heating system: Save at least 10 percent on heating bills with a regular tune-up. The cost is usually around $100. Buy Energy Star appliances: Energy Star products can be pricey, dishwashers start around $230, but when you consider that about 20 percent of our electricity bill is spent on running such appliances, it will be worth the extra money. For more tips on how to shrink your energy bill, click here.